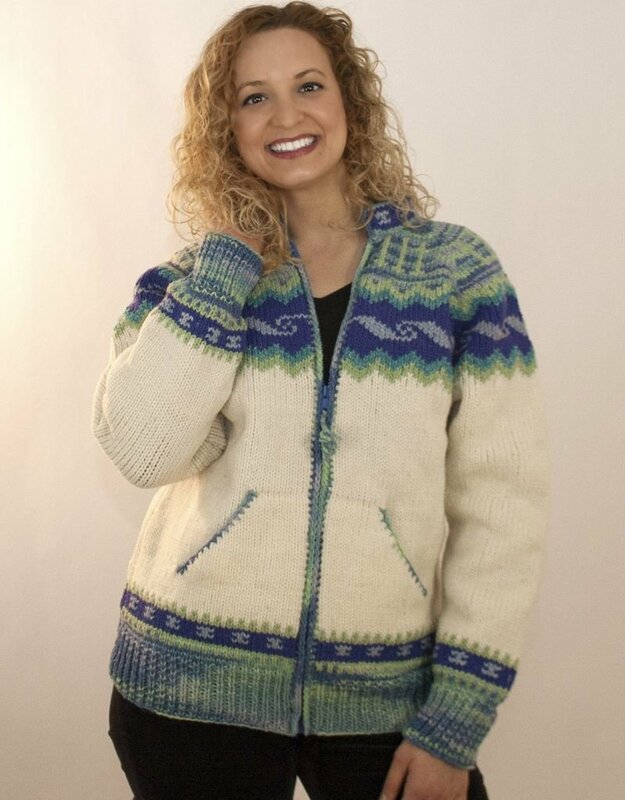 Cool blues and greens enhance this beautiful Icelandic design zip up sweater. Features front slant pockets. 100% hand knit wool, now machine washable on a delicate setting making it even easier to live in this sweater all season long.